When planning a family ski vacation, deciding on the best place to go is always tricky. You want to be sure that there will be enough for everyone to do and that the kids and you will all have a great time. One of the best options for many families is Park City, and here are three reasons why it has long been a top destination for family ski breaks. If skiing is the main reason for your vacation, you’ll find Park City ideal. For ski schools, the Kids Signature 5 Program guarantees a maximum of five kids per class for kids aged six to 14, so they can learn to ski and snowboard in the perfect environment. There is also the I Ride Park City Freestyle Camp, which provides coaching for older kids between 10 and 15 years old. But apart from the skiing, you also have a wide range of activities, including the Alpine Coaster, the Flying Eagle Zip Line, Adventure Alleys, the activities in Gorgoza Park, the Monkey Mountain indoor play area, dog sledding, snowshoeing and much more. Having a good amount of choice when you book your holiday is very useful, and in Park City you will find three resorts: Park City Mountain Resort, Canyons Resort, and Deer Valley Resort. They are all different and have their own unique character, and excellent Park city lodging opportunities are numerous in each resort. Canyons Resort is the biggest ski area in Utah and has over 180 runs. Free skiing and snowboarding is available for kids six years old and under, and there are also plenty of other activities arranged for kids. 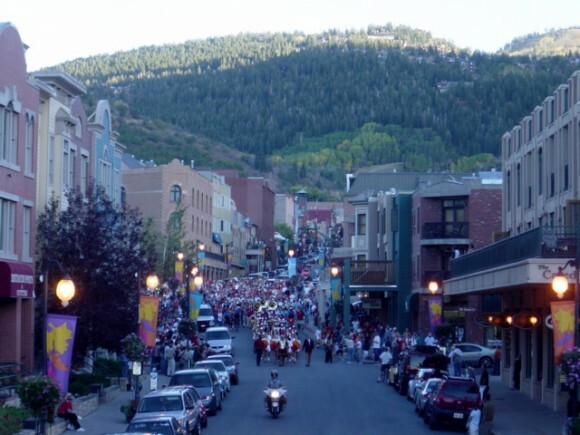 Park city Mountain Resort is an ideal family resort and has lots of features for kids. The skiing is suitable for all abilities, so you can all have fun no matter what level you are at. All of the resorts are very user friendly, which again makes them ideal for families. You’ll find mountain hosts all over the place to prevent anyone getting lost, and you will feel safe and secure wherever you go. Childcare is important when you go on a ski holiday with young kids, and you don’t want to stop skiing just because you have kids who are too young to ski themselves. As well as the excellent ski and snowboard schools for older kids, there are also childcare facilities for the younger kids so you can leave them for the day with full peace of mind. One of the best is the Little Adventures Children’s Center, which provides childcare at Canyons Resort for kids as young as six weeks old. It arranges activities for the older kids up to six years old to keep them happy all day while you hit the slopes. Tiffany Hanrahan loves blogging about family adventures. When she’s not braiding her daughter’s hair or taking her son to ride bikes at the park, she loves talking about ideas for family activities, vacations, and learning experiences.